The PANO Penthouse is located on the top floor, 53th-55th level, of a high-end residential tower in Bangkok called the PANO. This building has been acknowledged as the fourth highest apartment in Thailand. AAd (Ayutt and Associates design) designed this penthouse under the concept of “living between city and nature” offers a luxurious modern lifestyle, providing relaxing space with panoramic views towards the historic Chao Phraya River. This penthouse unit was specially developed for a single family, but family’s guest are also welcoming by domestic atmosphere. 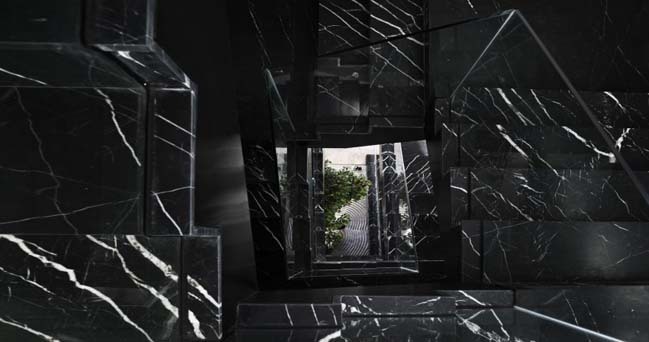 The concept has been designed under the idea of ‘a house’ in the skyscraper. It provides private outdoor spaces which similarly perform as a courtyard, accommodating terrace, pocket garden and swimming pool. Basic family house’s function are reasonably located in this triplex unit. Most public facilities like living and party space are located on the accessible floor which are the main 1st level and top level, while more private functions, such as bedroom and working area, occupied the the 2nd floor. Flow spaces are the main idea which has been considered in this project. Transparency destroys a barrier between internal and external area. At the same time it’s also blur the line between private and public domain. This ambiguous scenario invited users to move through the space. The hall and the main living space are the first threshold from communal area to the private domain. Both area were designed to be the focal room of the house where the client, which is an art collector, displays their art pieces. 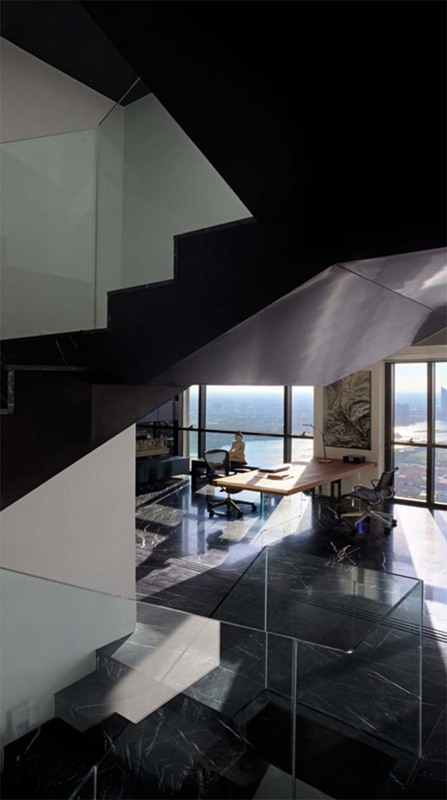 The elegant and exceptional terrace, punctuated by a tree incredibly planted at the 53th floor of a residential tower, allows a nature and panorama view that enhances the relationship between the interior and exterior, and provides an opportunity to bring in a large quantity of daylight indoor. 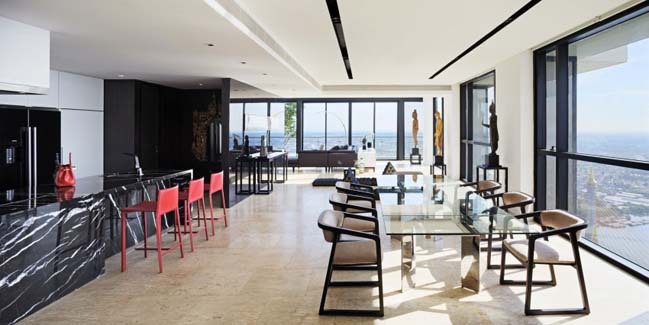 It is the result of a large-scale of architectural modification applied to the original layout of this penthouse. The nature elements supports the living atmosphere. The main staircase leads to the roof top and sky garden creates a calm atmosphere of sand garden. As well as the master bathroom is designed with the natural concept by growing vertical plants which create comfortable and calming atmosphere to this small room. The bar on the top-terrace also respond the planter.